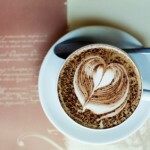 The technique called Pour Over Coffee has been around now for many years. 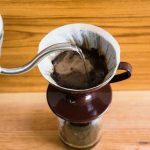 It’s a fairly straightforward technique used to make coffee that was detailed in this article – 4 Reasons you should be Drinking Pour Over Coffee. 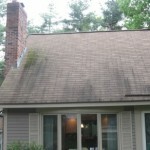 The article includes detailed images of the process. 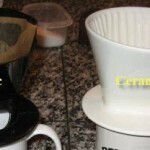 I also put together a review of 2 different types of Pour Over Coffee drippers in the article – Pour Over Coffee Dripper Review – Plastic vs Ceramic in which I compared a plastic and a ceramic dripper. At that time I determined that for the money and the fact that there was a hole in the plastic version for viewing the coffee level that it was the best buy but they are certainly both quality products. Another advantage of the plastic version is you don't have to worry about breakage in comparison to the ceramic version. Well, recently I came across what I feel to be the best pour over coffee dripper that is out there today. It is called the OXO Good Grips Pour Over Coffee Dripper. So what’s so great about it? The most important aspect of this revolutionary dripper is that it has an Auto-Drip Water Tank which you simply don’t find with other pour over coffee drippers. It has markings on the tank in ounces and milliliters which is great for anyone in the world. But even with the water tank, the most impressive thing is what’s on the bottom of the tank which is a series of 8 small holes that are in a circle which allows for full extraction of the coffee before it is sent into your coffee mug below. All of the coffee drippers that I have seen in the past only have the one hole at the bottom of the dripper which sends the liquid into the mug below. I tend to think that these small 8 holes are the key to maximizing extraction of your ground coffee into the best cup of coffee you can get. Check out my youTube video below of me brewing a great cup of coffee with my new OXO Good Grips Pour Over Coffee Dripper. Water tank has Oz and Ml markings for accurate water levels. 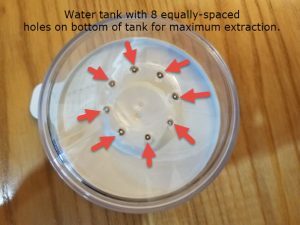 Water tank includes 8 equally-spaced holes on bottom for full coffee extraction. Lid can also be used a drip tray after brewing coffee. If you too brew your coffee with the pour over technique, this OXO Good Grips Pour Over Coffee Dripper will add a higher level of quality to your coffee experience. If you have any questions please leave them in the comments below or use my Contact me page. 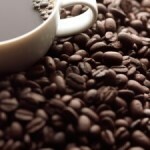 If the water tank sets on top covering the grinds completely do the gasses being released go back into the coffee? So there is/isn’t a bloom? 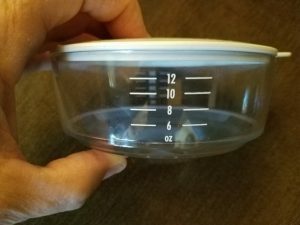 No stirring after 15 sec? Do you pre-rinse or wet your paper filter to remove some of the bleach taste? Sorry about the late response. I don’t pre-rinse my paper filter but maybe I should. As far as your other questions, I don’t know the answer to the gasses question. 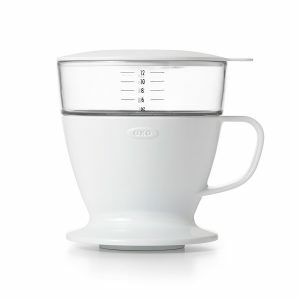 I’ve used this OXO Good Grips Coffee Dripper now for months and it makes excellent coffee!